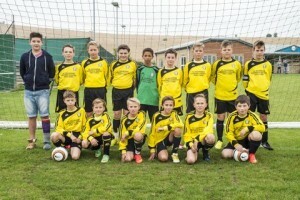 Chalke Valley FC was founded in 2002 as part of the Chalke Valley sports initiative, formed to secure lottery funding to the tune of £265,000. This enabled the building of fantastic facilities and we really are the envy of the local area, so much so in fact, that when the Salisbury City FC manager Nick Holmes opened the centre he commented that many Southern League sides would be glad of what was on offer. The club was formed by amalgamating three village football teams (Broadchalke, Bishopstone and Ebbesbourne)and started from pretty humble beginnings.